A simple question, however finding the answer is a little bit more tricky, because the meeting participants live in 5 different countries, 4 different time zones and on 2 continents. Those involved are: SAP Mentors Dennis Howlett, Jon Reed, Leonardo de Araujo, Martin Gillet and myself, Michael Koch. Meeting venue is the world wide web, Skype conference calls to be precise. So what have we been up to then? Over the last 9 months we’ve been fighting time zones, meeting calendars and busy social diaries for one thing: SAP Certification, well, collaborating to manifest our view on it, make a critical statement and suggest what can be improved. If that’s not true passion for SAP then I don’t know what is. 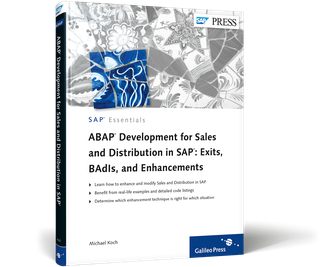 We’ve created a SAP White Paper document that’s evolved over time, had several reviews and feedback (including SAP’s). So why should you pay attention to our White Paper? Because I think it is an important stake that is being firmly placed in the ground by a group of five committed individuals. Moreover, we approach “SAP Certification Land” from different angles. There is Dennis Howlett, an experienced industry blogger and consultant on social computing projects. Jon Reed blogs, podcasts and tweets about all things SAP and is an expert on skills and market trends. Leonardo de Araujo weighs in as a SAP Logistics Functional and Technical Consultant with 12+ years experience. Martin Gillet brings the same expertise to the table for all things HCM and in addition runs HR training courses for SAP. Last but not least there is me, with deep technical and functional SAP experience across a range of modules and areas. Our initial motives to work together as the “Certification 5” had been slightly different. Which is no surprise, because our approach and our exposure to SAP Certification was diverse. To me, one of the main achievements from our collaboration so far is that we managed to create a document that reflects this diversity, yet still shows that we’re all aligned in the desire to make SAP Certification better. The White Paper goes into a lot of details, but we also summarised our thoughts into Problems and Recommended Action Items in Dennis’ SDN blog post. The result can now be viewed, downloaded and commented on SDN. We’re really keen to receive input and feedback from the community on our paper. Go to SDN and let us know what you think! This entry was posted in Blogosphere, SAP Market. Bookmark the permalink.